In these days when so many use online information to investigate their equipment purchases, is there a place for industry expos? From a manufacturer’s perspective, market feedback and comments from equipment users is appreciated and taken seriously. In fact, there are many instances where valuable feedback translates into machine improvements on future new models. Now approaching its fourth year next May, the Expo has proven a winner, with bigger crowds flocking every year and ever-increasing sales for the two hundred plus exhibitors. The Expo will be stage again between Friday 3rd to Sunday 4th May 2019 at the popular Panthers Penrith venue. “There’s no doubt this western Sydney location is a real winner for visitors and exhibitors”, said the Expo CEO Steve Zivkovich. 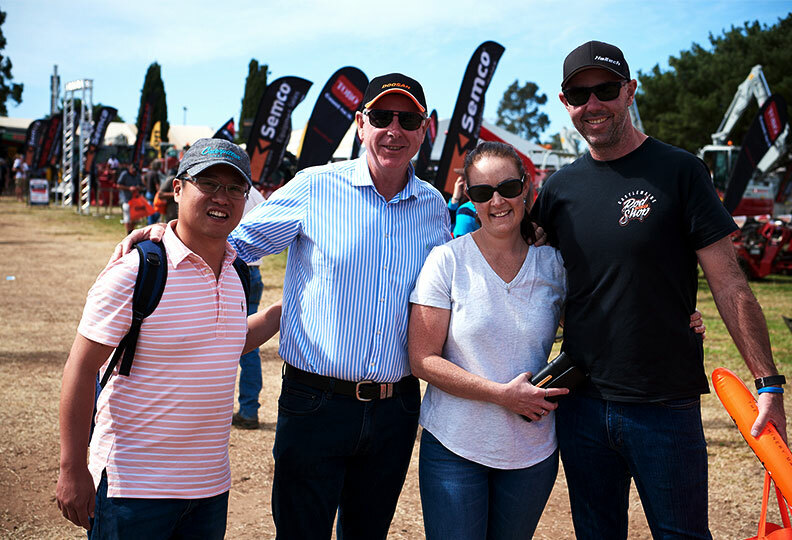 “The huge attendance of 76,300 people in 2018 smashed the previous years’ record and is clear evidence this annual event has emerged as the focus of Australia’s earthmoving industry”, Steve said. “We have been careful to focus on relevance for the industry by listening to all comments, and taking these on board to ensure exhibitors’ and visitors expectations are fully met. “Support of our sponsors is critical to the success of the Expo. In the coming days we will be announcing key sponsorship arrangements. We also welcome any exhibitors interested in Associate Sponsorship”, Steve added. 0 Comments on "Gearing up for the 2019 National Diesel Dirt & Turf Expo"